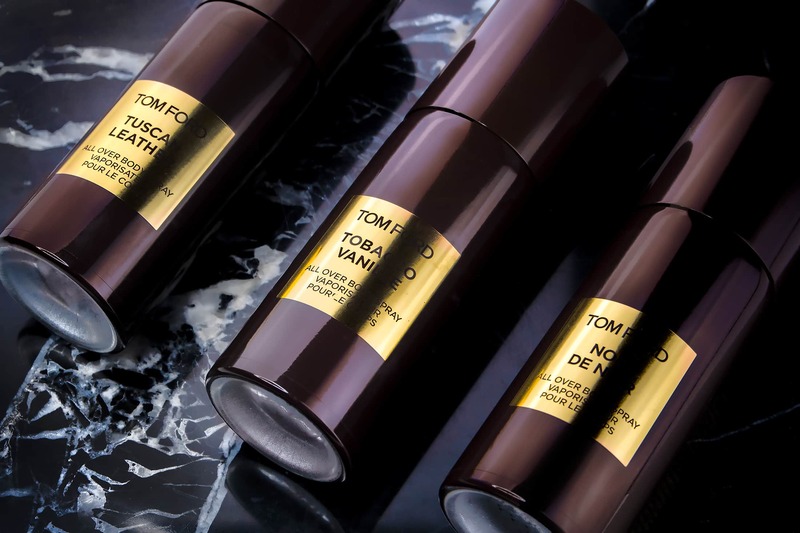 In addition to the stunning matched fragrances, TOM FORD has launched 3 new Private Blend body sprays in Tobacco Vanille, Noir de Noir and Tuscan Leather. 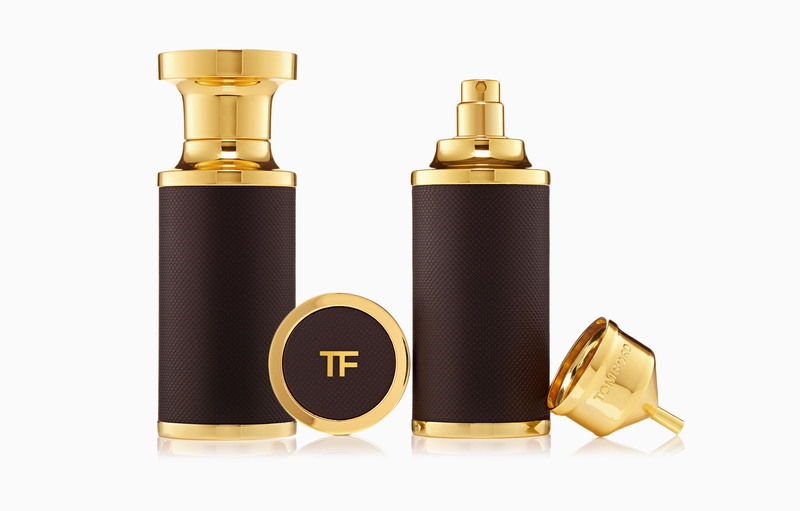 Also, whilst we’re on TOM FORD, for something really, really nice this Christmas and beyond luxurious – check out this TOM FORD Private Blend Atomiser wrapped in supple leather with gold metal accents. Perfect for taking your Private Blends on the road. 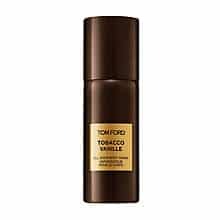 TOM FORD Private Blend Atomiser. £195. John Lewis. He reinvents a classic fragrance genre by adding creamy tonka bean, vanilla, cocoa, dry fruit accords and sweet wood sap for a modern, opulent, and almost heady impression that’s all man, unless worn by a woman. Rich feminine florals and the masculine earthiness of black truffle, vanilla, patchouli, oud wood, and tree moss add a warm sensuality to this dark chypre oriental. TOM FORD Private Blend Noir De Noir Body Spray, 150ml. £43. John Lewis. A modern classic, the addition of olibanum, night blooming jasmine, and black suede gives it a distinctive, modern spin that is raw yet refined, sensual yet sophisticated. The sprays deliver a shot of perfectly tempered Private Blend fragrance that sits gorgeously on both the body and clothes without the wait for a ‘dry down’. Whilst they don’t last quite as long as the Eau de Parfums themselves, they’re excellent boosts and even more perfect to layer with – keeping your scent going all day. Each are 150ml and come in aesthetically matching pressurised containers. The Thierry Mugler A*Men body spray used to be amazing as a pressurised container but has becoming significantly more lackluster now it’s a pump and squirt. These are great gifts and an even better treat for yourself. I know this sounds like such a waste but having one in my gym bag is a really calming and good-feeling way to end a work out. This article first appeared on MANFACE written by Thom Watson. It was published on Tuesday 13th December 2016 and was last updated on Monday 3rd April 2017 at 12:33pm. 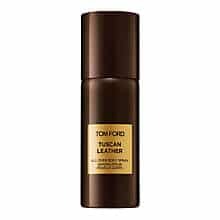 It's categorised under Fragrance, TOM FORD where you'll find more related content. Tom has really repacked Lynx (Axe) products; Tobacco and Amber. Instinct and Oud Wood. I think that’s definitely the other way around. Most of these fragrances were released long before Lynx’s launches, but I have to say, for the price point, they’ve really done well.